Inspiring stories from the Presbytery of Western Australia. Email Hands and Feet to share your inspiring stories. The deadline for contributions to the July 2018 edition is Monday 25 June. 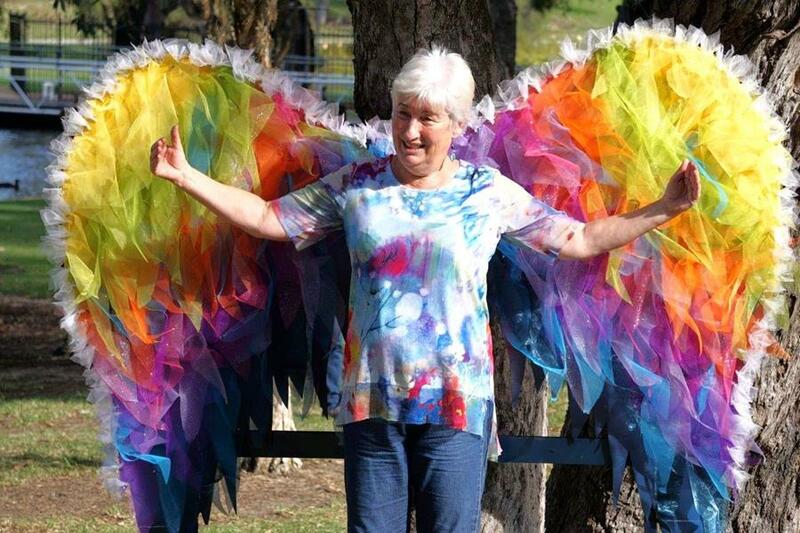 Creativity, skill and relevance in the paintings and sculptures of lambs, rabbits, a giant rooster and other animals grabbed the judges attention at this year’s Discover Easter Art Exhibition in Gingin, organised in part by Gingin Uniting Church. Emerging artists from Gingin and beyond brought 35 pieces to the exhibition during the weekend. A children’s art session on Saturday morning produced 26 others. A well-attended ecumenical Easter Sunday worship service was held on the green. During the sermon, a piece of cloth was removed to reveal boxes of chocolate eggs. Around us families went on the annual Easter egg hunt with the Easter bunny. The awards ceremony in the afternoon drew the artists, who were also community leaders. Among those who won prizes included the founder of the local Men's Shed, the Country Women's Association, the head of a volunteer association for families at risk and the organiser of the community car service. This event was more than just an art exhibition; it was a community building event. It was an illustration of church worshiping, witnessing and serving in community, being where the people are and where God is. Situated on Gingin commons on green grass beside the brook, the exhibition was the backdrop of a glimpse of the world at peace. Children ran about without fear, and adults spoke their hearts out in poetry, the gifts of the Spirit are there for the taking as juicy ripe mangoes. In one of the Easter stories, "Jesus said to his disciples, 'Peace be with you. As the Father has sent me, so I send you.'" (John 20:21). We are a resurrection people. In its second year, the exhibition ran from Friday 30 March to Sunday 1 April. The Uniting and Anglican Churches in Gingin, in co-operation with the Shire of Gingin sponsored the event. Willetton Uniting Church hosted a Biggest Morning Tea, raising money for the Cancer Council on Thursday 19 April for the 14th year in a row. These events have originated from a member of the congregation, Louise Riedel, herself a survivor of cancer. Since then, she has built a team of supporters who come together each year to plan and execute these successful and much enjoyed events. 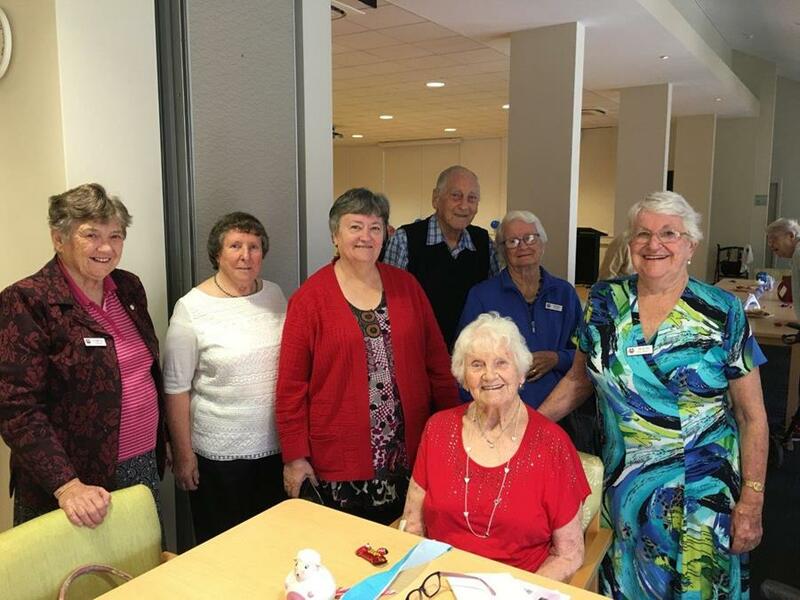 An appetising and generous morning tea of sandwiches and cupcakes filled our stomachs, and a highlight of these morning teas is a wonderful singing group called Take Note. This choir of ladies filled our souls whilst taking us on a journey of inspiring music. Raffles, auctions, lucky dips and other activities also help to raise the much needed funds for cancer research on this day. It never seems to amaze me how the church community and the wider community of Willetton come together for this event. This event raised over $3 000 this year and added to the previous years funds brings it to a grand total of over $29 000 in 14 years. 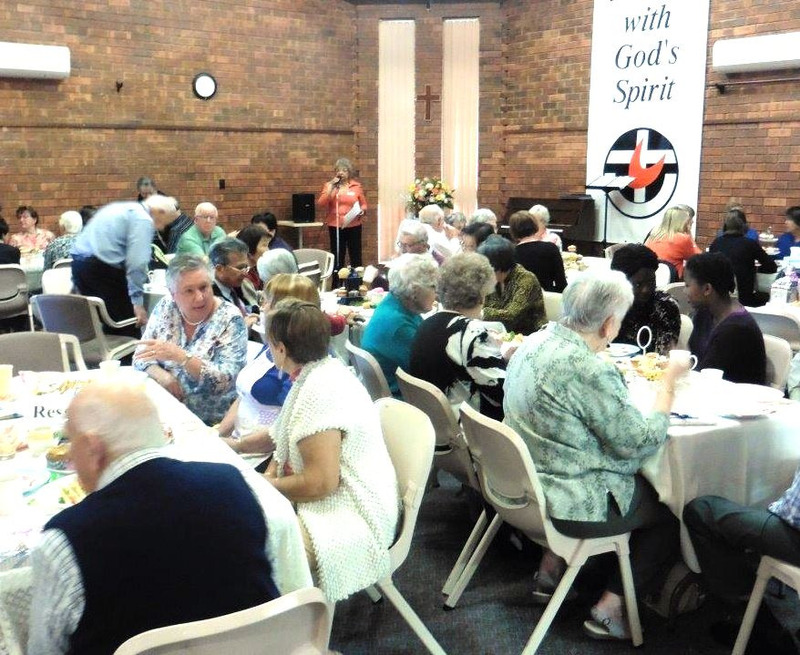 On the glorious autumn morning of Wednesday 11 April, the weekly Rowethorpe Christian Fellowship of Rowethorpe Uniting Church met for a special celebration. One of our members, Hilda, turned 100! There was much celebrating, fun and frivolity among the almost 30 people who gathered, as well as an outstanding cake. He used examples from Hilda’s life story, his own story, and a borrowed story, to capture the challenge of these questions, as well as the ongoing story of our Uniting Church. We were encouraged to hear that the church knows who it is, and remains faithful to that identity. Where we are going continues to unfold as we remain faithful to the God who has called us into being. David recited Psalm 16:5-6 and we were reminded that despite the ups and downs of life, the boundary lines of our lives have fallen in pleasant places. I have a goodly heritage." From Friday 6 to Saturday 7 April, Margaret River Uniting Church held its Deep Listening Festival, inspired by SacredEdge at Queenscliff Uniting Church in Victoria. We were a little nervous taking on such a big project, but it exceeded all of our expectations. Our aim was to provide a space where the stories of those on 'the edge' of society could be heard and valued. The festival began on the Friday evening with a sundowner and the opening of our art exhibition. Six local artists had been commissioned to produce a piece based on the theme of the festival. Each one was unique and approached the theme from a different angle. The artists all shared their story about their inspiration for their artwork. Each sharing was very moving and helped the attendees to connect more deeply with the art throughout the festival. On the Saturday, participants were treated to a feast of speakers and workshops. Local traditional custodian, Sandra Hill, shared her moving story and experience of being part of the stolen generations. We shared in listening to panels of speakers on themes ‘Land on the Edge’ and ‘People on the Edge’. Sabrina Hahn shared a little of her story and how her love of nature and gardening has given her strength throughout life. 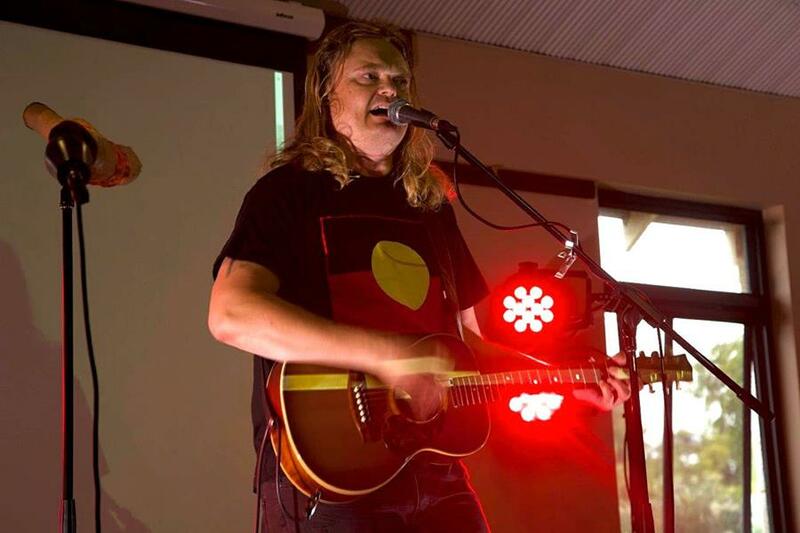 Scott Darlow, Indigenous singer/songwriter from Melbourne shared his experiences in music and story. We learnt about labyrinths and their use in peace making from Lisa Moriarty, the art of mindfulness from local Ian Hackett and engaging with Aboriginal people in Mowanjum from Robert Hoskin. It was a rich day of learning, experiencing and connecting with new people. We were pleasantly surprised at how many people from the wider community engaged in the festival. We had thought it might take more time to gain trust with the local community, but people were very excited by the theme and very keen to help us. We are now talking about whether it can become an annual event. Recently, the Church Council at Wesley Chapel Guildford asked me, a retired Uniting Church minister, to help them update their membership. A service was held on Sunday 11 March to reaffirm eighteen people who were already members. Those who sought membership were then asked to meet after church, and about 20 people met. It was arranged that each week an information leaflet would be prepared for them to read. These leaflets included topics such as: ‘The history of the church’, ‘The sacraments’, ‘How we got the Bible’, ‘How the Uniting Church was formed’, ‘Descriptions of the Christian church and the Apostles Creed’, and other relevant subjects. On Sunday 22 April, 24 people were received as full members of the Uniting Church. Various nationalities were represented such as Indian, British, Fijian, South African and Australian. The new members were also from various age groups. Some people from the congregation were on holiday at the time, so will become members in the near future. 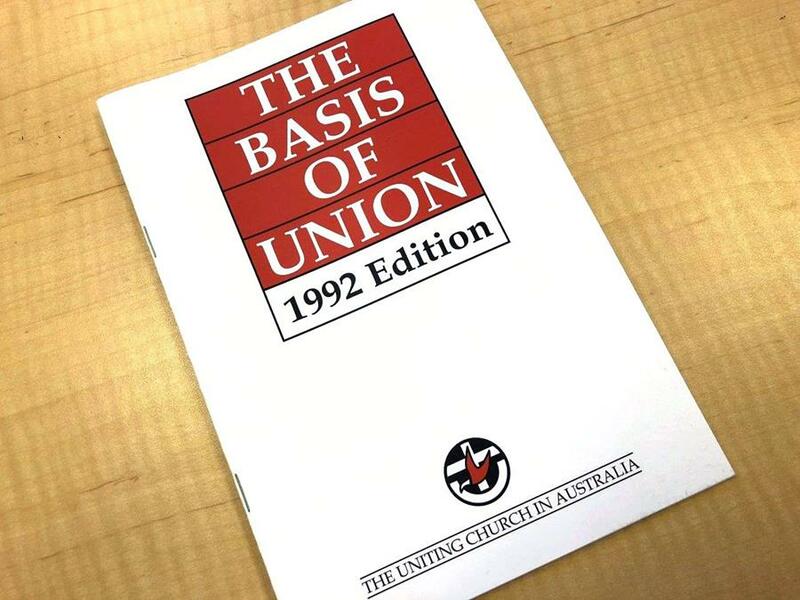 Each new member was presented with a copy of The Basis of Union, one of the Uniting Church in Australia’s founding documents. Four elders were also commissioned: Dr Carolyn Dickie, Arthur Cook, Lillian Nabulivou and Ian Marshall. Three retiring elders were acknowledged for their work over the years: Edith Lynn, Jan Yurisich and Dr Laurie Dickie.